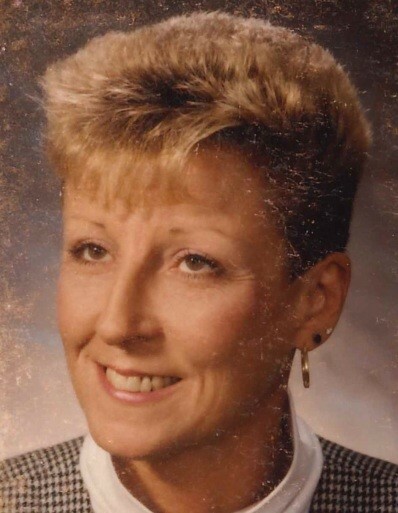 Linda Ann Allder, 65, of Frederick died Thursday, November 1, 2018 at Genesis Glade Valley Center. She was the wife of the late Rodney C. Allder, II, for 13 years until his death on December 19, 2012. Born May 18, 1953 in Frederick, she was the daughter of the late James A. Broadbent, Sr., and Dorothy Mary (Wisner) Broadbent. A 1971 graduate of Catoctin High School, Linda was a Senior Claims Representative with State Farm Insurance for 24 1/2 years until her retirement in 1998. In 1999, she started a pet sitting business, Pet Companions Plus. She loved all of her animals, they were like family to her, and she was generous to everyone she knew. Her business closed earlier this year due to her illness. An avid gardener, Linda always planted, tomatoes, peppers, squash, kale, and other veggies that she enjoyed canning and freezing. Linda always planted flowers, especially long stemmed roses, and she loved golf and tennis. Linda will be seeing Benji, Whiskers, Miss Stinky, Tux, Jakie, and Gizzy at Rainbow Bridge. She leaves behind her beloved kitty, Rowdy. Linda was loved by all and will be greatly missed. She is survived by her brother, Jim Broadbent of Frederick; a sister, Shirley Cady of Lemont, PA; two stepsons and their families; and nine nieces and nephews. In addition to her husband and parents, Linda was predeceased by a sister, Deborah Hurley in 2012. The family is deeply appreciative of the loving care and support Linda received from the Genesis Glade Valley Center and her friends Donna Pearman, Marion Barrie, and Connie Snook. The family will receive friends from 10 to 11 a.m. on Saturday, November 17, 2018 at the Stauffer Funeral Home, 1621 Opossumtown Pike, Frederick. A celebration of Linda's life will begin at 11 a.m. with the Rev. Tim May officiating. Private interment will be held at a later date for the family. In lieu of flowers and in honor of Linda's love for animals, donations may be made to an animal charity of one's choice.